Nikolaus Ringe studied in Lübeck (Germany) and Basel (Switzerland). As a pupil of Ivan Monighetti he was influenced by the Moscow "Rostropovich-School". 18th and 19th century music began at that time. Meeting conductors and soloists such as Günter Wand, Gidon Kremer and Anner Bylsma inspired him to develop new ideas of musical expression. In 1998 he started to work with the Japanese pianist Emi Saito. other European countries and Japan. his mind concerning occidental art. He has been the Solo Cellist at the Städtisches Orchester Pforzheim. 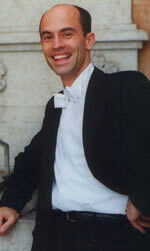 Performing for an international audience Nikolaus Ringe is always fascinated by the power of music. 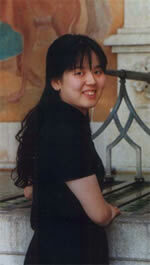 Emi Saito began to play the piano at the tender age of four in Japan. In 1997 her studies led her to Europe. the Russian pianists Lew Naumov, Lazar Berman and Vitaly Margulis. able to study in Zurich where she was pupil of Homero Francesch. as Ravel and Debussy as well as the chamber music with violoncello. Today she gives concerts in Europe and Japan as a soloist and a chamber music partner.